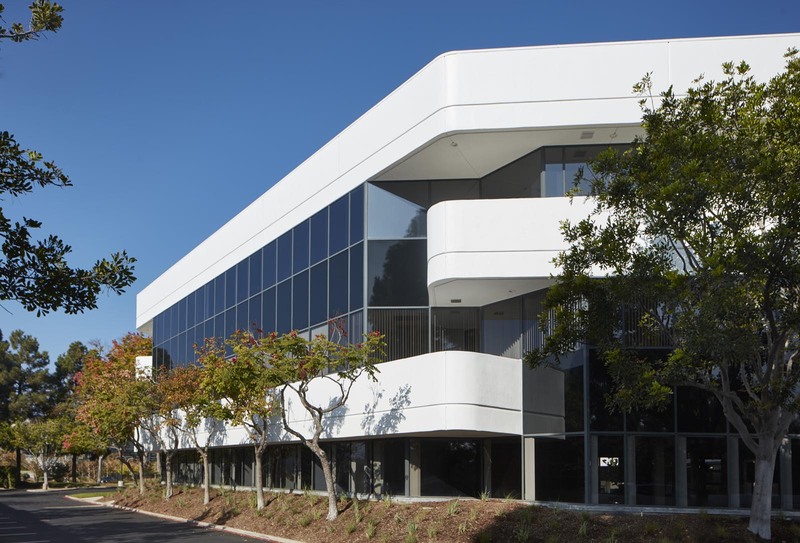 The project consisted of an extensive renovation to a 2-building, 103,725 Square Foot, office campus located in the Del Mar Heights trade area. 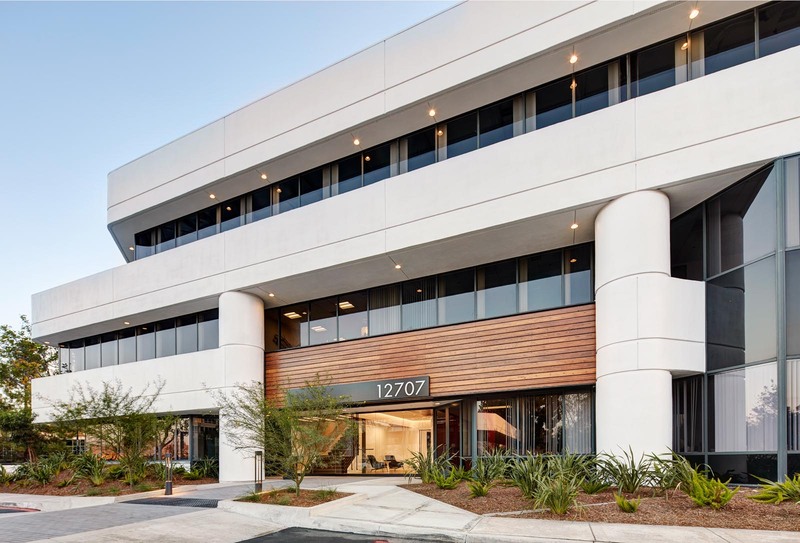 Ownership’s objective for the project was to re-position the asset by updated physical characteristics and interior building layout. 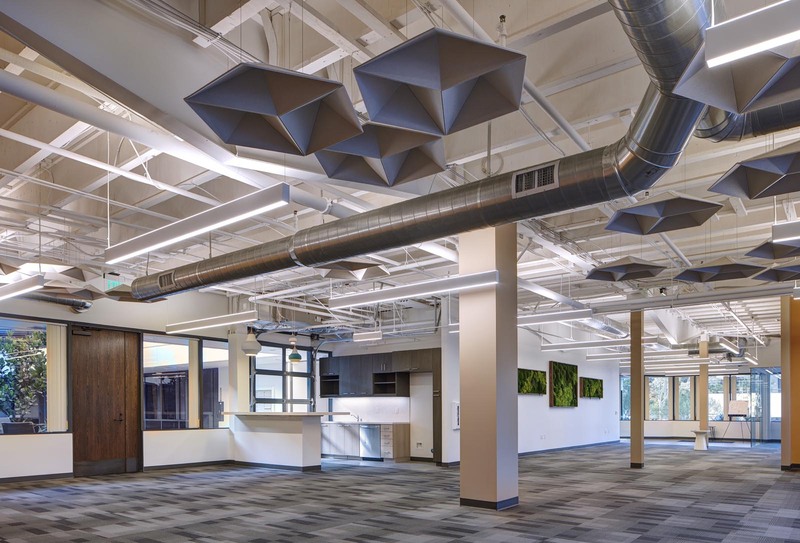 Dempsey Construction was engaged in the early stages of the project to assist ownership and the design team with preliminary budgeting, constructability review and value engineering exercises. 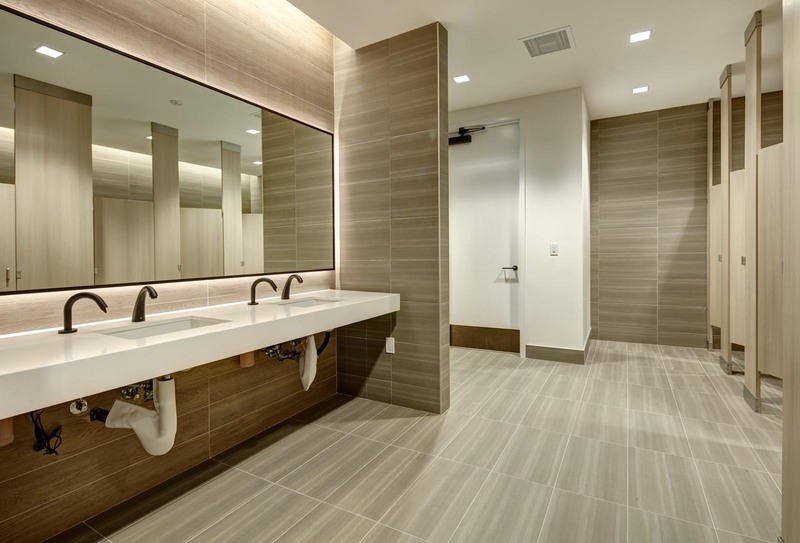 The project scope included the complete upgrade to existing lobbies, elevator cabs, all common corridors, restrooms and stairwells with new finishes throughout. 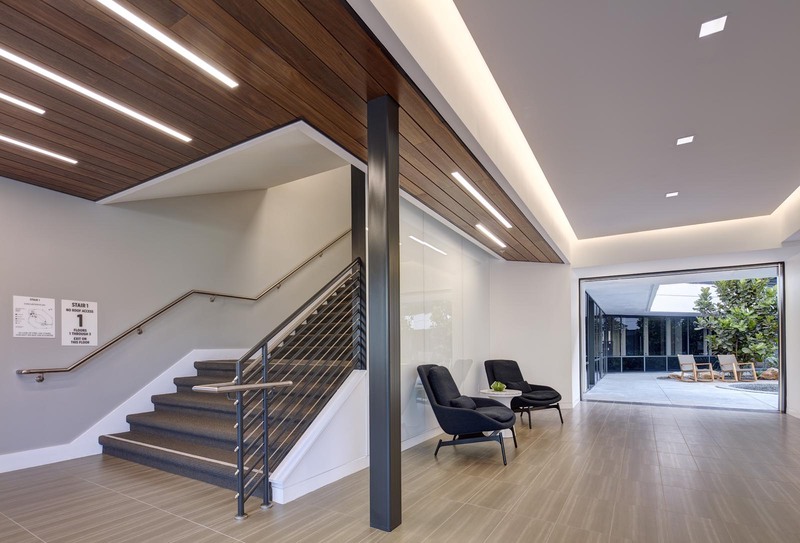 In addition, a new entry, lobby, and elevator were constructed to one of the buildings to allow enhanced building ingress / egress, as well as extensive demolition and reconfiguration to allow for an open layout and installation of 1st floor skylights to capture 2nd story natural light. 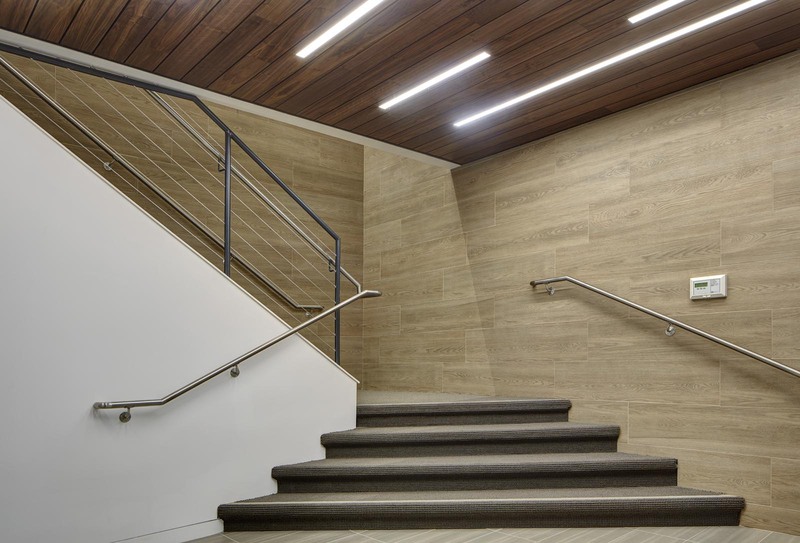 The exterior aesthetics of the buildings were dramatically transformed from the dated marble-crete finish to a new modern, smooth finish. The marble-crete was grinded off the building and re-surfaced with a smooth finish skim coat and paint scheme. 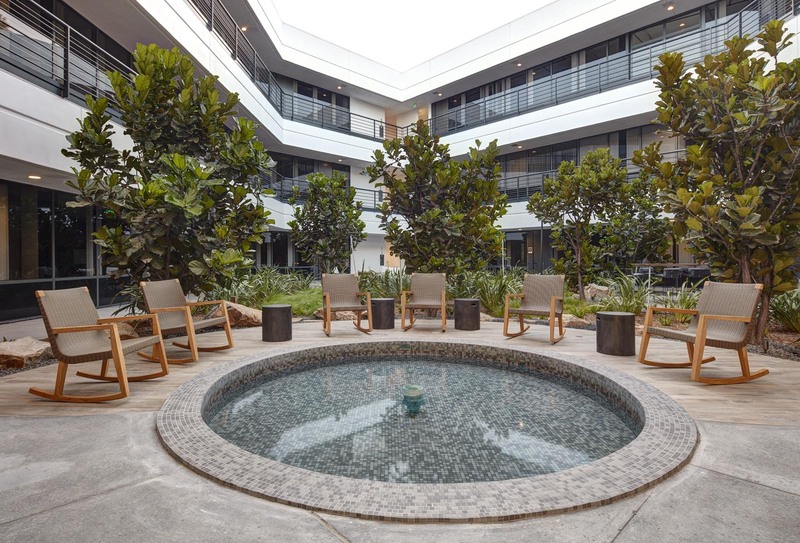 In addition, non-structural exterior columns were demolished to open the glass window line and 2 new exterior amenity spaces were constructed with new hardscape and BBQ areas. 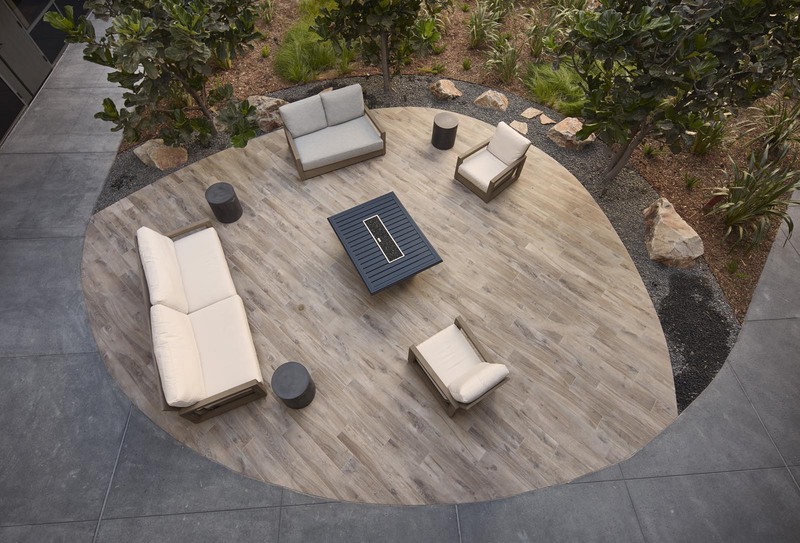 The project was constructed while the buildings were occupied and remained fully operational.